Berries are one of the healthiest foods to include in your diet, and blueberries are no exception. Are blackberries good for you? Yes, they are…all thanks to the variety of nutrient they contain. They provide you with calcium, magnesium, potassium, and a variety of B-vitamins. 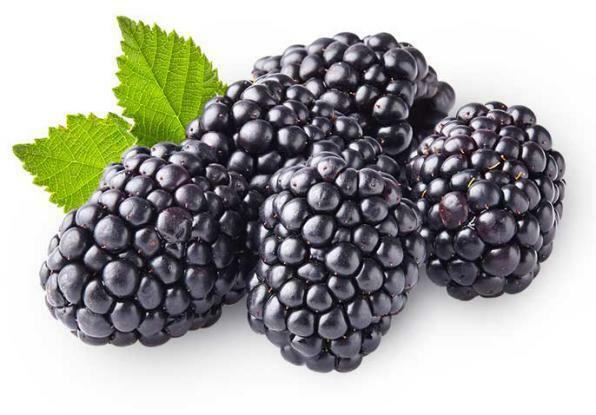 Moreover, blackberries also provide you with powerful antioxidants called anthocyanins that are responsible for offering many health benefits. Let's find out more about the reason why blackberries are helpful. A cup of blackberries provides you with 30.2mg of vitamin C, which makes half of your recommended daily intake of this important vitamin. The vitamin is important for the formation of collage in connective tissue, bones, and blood vessels. It also plays a big role to heal wound, eliminate free radical, and regenerate your skin cells. It supports your immune system and shortens the common cold. Some studies also suggest that vitamin C may also help prevent certain types of cancer – the benefit comes from the fact that vitamin C acts as an antioxidant and prevents free radical damage to the cells. Are blackberries good for you? Yes, they are because they provide you with 8g of fiber per cup. Not consuming enough fiber can cause all sorts of digestive problems, including constipation, bloating, and stomach pain. On the other hand, getting enough fiber may reduce cholesterol, regulate blood sugar level, promote regular bowel movements, and help you have a stronger immune system. Blueberries can always be part of your weight loss diet mainly because they are high in dietary fiber. You get loads of soluble and insoluble fiber from each serving of blackberries. You should consume an adequate amount of insoluble fiber to promote regular bowel movements. It also helps you lose weight by making you feel fuller – it prevents hunger pangs and helps you limit your caloric intake. Vitamin K helps with blood clotting and ensures that you do not bleed heavily after you cut yourself accidentally. Moreover, the vitamin plays an important role in bone metabolism and its deficiency can lead to bone fractures and blood thinning. Women with a vitamin K deficiency may experience heavy menstrual bleeding. Vitamin K prevents all these issues, and a single cup of blackberries contains about 29 micrograms of this important vitamin. Be sure to include green veggies, fermented dairy foods, and soybeans in your diet along with consuming blackberries if you are already taking blood thinners. Manganese may not be as popular as many other minerals, but it is extremely important for a healthy immune system. It also plays an important role in keeping your bones healthy. Your body needs an adequate supply of manganese to metabolize amino acids, carbs, and cholesterol. Keeping your intake of manganese helps manage blood sugar levels, prevent osteoporosis, and reduce epileptic seizures. It is worth mentioning that too much manganese may prove toxic, but you are less likely to get too much from foods, such as blackberries. Still, a cup of blackberries provides you with 0.9mg of manganese, which is half of your recommended daily intake of this mineral. The antioxidant content of blackberries is another reason why you should include them in your diet. You get a good dose of compounds such as flavonoids, phenolic acids, anthocyanosides, and flavanols. They protect your body by preventing oxidative damage to the cells in your body. By limiting free radical scavenging activity, blackberries lower your risk of developing several chronic conditions. Blackberries contain a good amount of flavonols, including anthocyanins, which protect you from cardiovascular disease. Other components, such as fiber and magnesium prevent blockage in the arteries. By controlling your cholesterol levels, blackberries lower your risk of cardiovascular disease. They also help regulate blood pressure and prevent irregular contraction and cardiac arrhythmia. Are blackberries good for you? Thanks to their calcium content, blackberries are extremely beneficial for your bones. Along with calcium, you also get a good amount of magnesium from each serving, which promotes the absorption of potassium and calcium in the body. Similarly, they contain phosphorus that regulates calcium in the body and promotes healthy bones. By providing you with vitamin E, vitamin C, and other antioxidants, blackberries are great for the overall health of your skin. Vitamin E helps maintain the right percentage of skin fats, which in turn prevents wrinkles. Vitamin C protects your skin from oxidative damage and reduces signs of aging. Blackberries help keep your skin toned by providing you with a good dose of vitamin C, which facilitates the formation of collagen. Blackberry contains lutein, which is good for your vision because it supports the formation of a protective pigment known as macula. Located behind the retina, the pigment prevents oxidative damage to the retina. It also lowers risk of getting your retina damaged by high wavelength light radiations. Blackberries also provide you with vitamins and anthocyanosides that lowers risk of diseases such as cataract, macular degeneration, and night blindness. Are blackberries good for you? Yes they are high in folate. It is due to their folate content that they are extremely beneficial for pregnant women. Some studies have found that folate in blackberries reduce the risk of birth defects and promote the growth of the tissues in the body. Antioxidants, including vitamin C supports your immune system and protect you from diseases during pregnancy. The presence of other minerals, such as phosphorus, magnesium, iron, and calcium is also the reason why you can always have blackberries during pregnancy; in fact, it can serve a quick yet delicious snack in pregnancy.